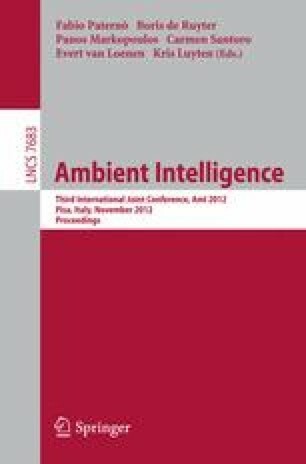 By their very nature, Intelligent Environments (IE’s) are infused with complexity, unreliability and uncertainty due to a combination of sensor noise and the human element. The quantity, type and availability of data to model these applications can be a major issue. Each situation is contextually different and constantly changing. The dynamic nature of the implementations present a challenging problem when attempting to model or learn a model of the environment. Training data to construct the model must be within the same feature space and have the same distribution as the target task data, however this is often highly costly and time consuming. There can even be occurrences were a complete lack of labelled target data occurs. It is within these situations that our study is focussed. In this paper we propose a framework to dynamically model IE’s through the use of data sets from differing feature spaces and domains. The framework is constructed using a novel Fuzzy Transfer Learning (FuzzyTL) process. The use of a FuzzyTL algorithm allows for a source of labelled data to improve the learning of an alternative context task. We will demonstrate the application of an Fuzzy Inference System (FIS) to produce a model from a source Intelligent Environment (IE) which can provide the knowledge for a differing target context. We will investigate the use of FuzzyTL within differing contextual distributions through the use of temporal and spatial alternative domains.